We have to kill eagles in order to save them. That’s now the official policy of the U.S. Interior Department. 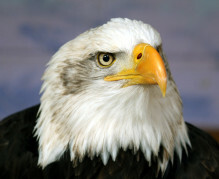 On Friday, the agency announced that it would grant some wind-energy companies permits that will allow them to kill or injure bald and golden eagles for up to 30 years without penalty. Continue reading this piece from National Review here.